If you would like to support Saint Peter's but are not able to attend our services to make an offering, you can donate here. The sale on 6 April raised over $800. See photo’s of the sale in our photo. gallery. The March edition is now available online. Printed copies are available in Church while they last, but you get it first and forever online! See below how to get a handy email when each new issue is available. Our Printed Heritage page now includes all available issues up to March of 1963. Hardy gardeners clean up the Church grounds. This new addition to the parish calendar was such a success it bears repeating..
As part of marking the 150th Anniversary of theDiocese of Dunedin, Our Vicar presented a talk on 2 March explaining how Ritualism took a hold in our neck of the woods. You can watch the full lecture here. The St Kilda Brass, also known as The Saints, delighted a nearly full church on Saturday 8 September. Further photo’s of The Saints concert are in our photo. gallery. One hundred years after the Great War ended, Father James Harding talks about impressions and lessons from recent visits to war graves on the Western Front and looks at how Christians respond to war. You can listen to Dr Harding’s Armistice Day address here. And you can see further photo’s of the ordination in our photo. gallery. Our new Bishop was installed on 22 September. On the 23rd he led hist first Diocesan Synod (which was held at Saint Peter's) and on the 24th he preached and celebrated our 10.30am Service. Watch the Service in high definition on our Services page, or listen to the Bishop’s sermon from the pulpit. On 16 December, 2016 four memorial windows were removed from Holy Cross and prepared for relocation at Saint Peter’s. Watch a short video of the windows’ removal here. On Tuesday, 31 January, Saint Peter’s hosted Archdeacon Neville Selwood. Over 45 people listened to him talk with Vicar Hugh Bowron about his experiences as a Lancaster navigator during World War 2. You can see the archdeacons’s recollections of his time in Bomber Command here in High Definition. On 17 July, the Choir of St Paul’s Cathedral visited Saint Peter’s and sang Choral Evensong and Benediction, with Rachmaninov’s Magnificat and Nunc Dimittis in the original Church Slavonic. Another wonderful special Service which you can see below. 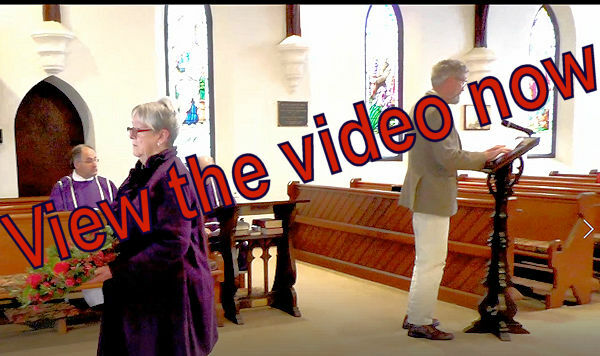 Check the ‘Services at Saint Peter’s‘ page in the menu for video of the Services and sermon. 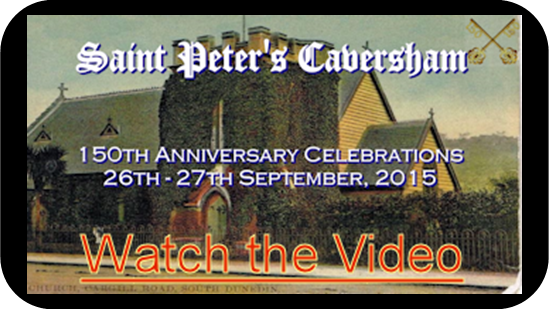 The 150th Anniversary Highlights video is available here. 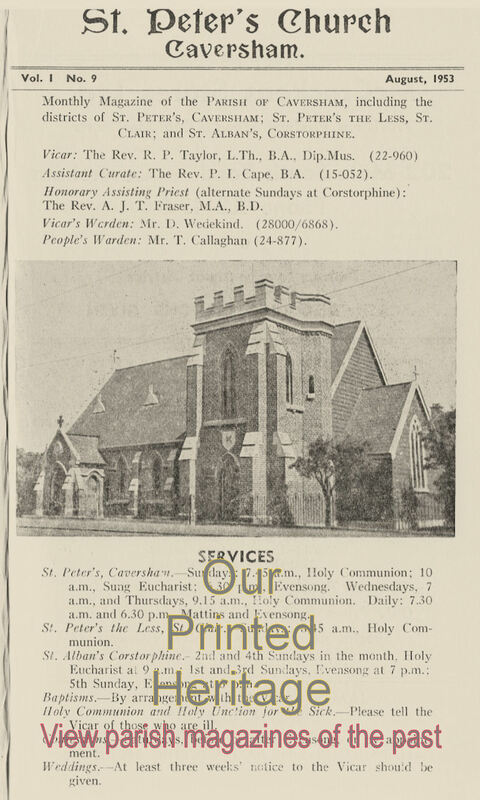 An additional issue of our early parish magazines is added to our online archive each month when The Rock is published..
All those from December 1952 (the earliest one) to this month in 1963 are now available. Log in to Vestry Members’ pages.